Cookies are woven into our culture. Images of chocolate chip cookies, warm from the oven at grandma's house. The classic Tollhouse recipe. The cookie jar. The cookie monster. Girl Scouts sell them. Web browsers have them. They're everywhere, when you think about it. I thought long and hard about what kind of cookie I wanted to create. There are such endless possibilities. Should I go classic chocolate chip? German hazelnut jam thumbprint? Peanut butter with chocolate? Pumpkin? Sugar? My mind was spinning (and my stomach was growling). Then I noticed a forgotten little package of cardamom in my spice cabinet that I had never gotten around to using before. And I knew what I was going to make. Chai Lattes. In cookie form. There are a few different possible ratios for cookies. I originally tried the 1-2-3 ratio, but those ended up being cakier than I preferred. So I went for a ratio closer to the 1-1-1 ratio (1 part each of butter, sugar, and flour) and they came out much more like traditional cookies. Buttery, soft, and with a nice texture. And delicious. These really did taste like little chai lattes - I brought them into work and they got great reviews! And cookies are a piece of cake (ha) to throw together, so they'll be making your house smell wonderful before you know it. 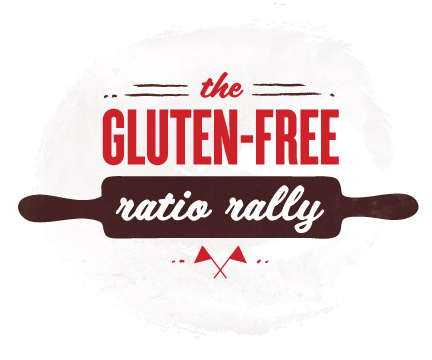 Many thanks to Caroline of The G Spot Revolution for hosting this month's Ratio Rally for cookies! See below my recipe for a list of all the other fantastic cookie ideas the other Ratio Rally members came up with. And get ready for a chai latte - just not the kind you're used to. Cream the butter and sugar together. Add the egg and vanilla and beat together. In a separate bowl, combine all dry ingredients and mix together. Add to the butter-sugar mixture and mix until combined. Add the chopped cashews. Drop by teaspoonful onto the lined cookie sheet (no greasing necessary). Bake for 7-9 minutes, or just until the edges are slightly browned. Remove from oven and leave on hot cookie sheet for another 2 -4 minutes or until firm enough to move to a cooling rack. When completely cooled, remove to an airtight container. Take a look at the fabulous recipes the other Ratio Rally folks came up with! Remember these? My delicious Banana Rum Cupcakes with Rum Glaze that resulted from the "cake" round of the Gluten-free Ratio Rally? Well, I do. I have made them a few more times since posting about them for the Gluten-free Ratio Rally. They've turned out wonderfully every time - and not only are they based on a Ruhlman ratio, but they are also (relatively) guilt-free. So you can make - and EAT - as many as you like. The people at Shape Magazine seem to agree with me, and they've included this recipe in their recent piece, "The Best Healthy Cupcakes We've Ever Seen." Check out the other cupcakes that made rank - they all look pretty amazing, and there are a few other gluten-free recipes included as well that I can't wait to try out. Thanks so much to Shape.com for the feature!! Yeah. You might want to start preheating the oven. There's nothing more quintessential to me about fall than pumpkin pie. And luckily for me, I have a family who loves it just as much as I do. Which is why I decided to feature my Aunt Maggie's amazing recipe for pumpkin pie for this month's Gluten-free Ratio Rally. Her pie is legendary and is one of the things our family looks forward to most each fall, and it will make your house smell like the season. Many thanks to Lisa from Gluten-free Canteen for hosting this month's Ratio Rally! The filling for this comes together so easily, so that part will be a piece of....pie? You can literally just dump it all in a bowl and mix it up with an electric mixer in less than 5 minutes. Done. And even though making a pie crust from scratch may seem daunting (I know it did for me! ), it's really much simpler than you might expect. And it will be so delicious, you'll be glad you took the extra 20 minutes to do it - I promise. This crust turned out wonderfully firm and flakey (like a good crust should be), and the filling set beautifully thanks to a milk substitute of So Delicious Unsweetened Coconut Milk. We always have this pie (erm, several of these pies) at Thanksgiving, but you can use any excuse to make it anytime. For example: It's Friday. Bam - good enough reason to make a pumpkin pie. It worked for me, anyway. And it disappeared just as quickly as it came together. Preheat your oven to 350 F. Spray a 9-inch pie dish with cooking spray. Combine the flours, sugar, xanthan gum, and salt. Cut the butter into the flour mixture until it's small and crumbly. Beat the egg and vanilla together, then add to the crust. Mix with a fork, and then with your hands to form it into a cohesive ball. Add extra brown rice flour as needed so that it's not sticky. Cut in half and roll into two equal size balls, and wrap into saran wrap that has been sprayed with cooking spray. Place in the freezer for at least 10 minutes. If you're making two pies, remove both balls of dough from the freezer; if you're just making one pie, remove one of them and leave the other in the freezer until you're ready to use it another time. Place the dough (one ball at a time) on a surface dusted with brown rice flour. Place the sprayed saran wrap (spray side down) on top of the dough and press down. Using a rolling pin, roll to a thin consistency, about 1/8 inch, adding more brown rice flour as needed to avoid sticking. As best as you can, place the sheet of dough into the pie dish. Don't worry too much if it falls apart; just scoop up the pieces and press them down into the bottom and about 2/3 of the way up the pie dish. Brush the pie crust with the beaten egg white and place in the oven to pre-bake for 7 minutes, then remove from the oven to add the pie filling. Melt the Earth Balance and beat together with the sugars and pumpkin. Add the eggs one at a time and blend in, then add the cinnamon, pumpkin pie spice, and nutmeg (more of each to your own taste, if desired). Add the So Delicious Coconut Milk 1/2 cup at a time. The filling will seem rather fluid; that's ok! Pour the pumpkin pie filling into the pre-baked pie crust. Return to the oven and bake for about 1 hour, or just until a toothpick inserted comes out clean. After about 30 - 40 minutes, check to make sure the top isn't starting to get burned; if it is, use a piece of tin foil to create a little tent over the pie to protect the top but still allow the filling to set. Remove from oven and let cool completely. Keep refrigerated until ready to serve. Serve plain or with gluten-free whipped cream topping. Swirled blackberry sage banana muffins. Aren't they pretty? The name even sounds pretty....blackberry sage. These were inspired by a favorite tea of mine, the (you guessed it) Blackberry Sage flavor of Republic of Tea. I used to go on afternoon tea runs with a friend of mine when we used to work together, and the people at the place we visited would make any tea iced. We tried them all - but the blackberry sage remained my favorite. A few weekends ago, a spree at Haymarket landed me three containers of blackberries. I was pondering what to do with them on the ride home. I continued to ponder as I washed them and put them in the fridge. And then, it hit me. Of course. It had to be something with sage. So I pulled out one of my favorite recipes for banana bread and reshaped it into delicious sweet-savory muffins. These rocked. If you're a sage fan, give these a try - it really brings the flavor of the berries to the forefront without crowding them. I had a hard time refraining from eating all of them in one sitting, but I kept it together and ate a respectable number (only two, I swear) and saved the rest to share with friends. Preheat the oven to 350 F. Line two muffin trays with 18 paper liners or spray with cooking spray. Combine the wet ingredients together and stir well. In a separate bowl, combine the flours, baking powder, baking soda, salt, and sage and sift together. Add to the wet ingredients and mix well. Now you have two choices - you can either add chunks of blackberries to your muffins, or you can puree the blackberries and swirl them in. I swirled, but I can't say it would be a bad idea at all to swirl AND add whole chunks. But do what you feel is right for your muffins. If you're adding chunks, chop up the berries and add them to the batter, stir lightly, and then spoon even amounts into the paper liners. If you're swirling, puree the blackberries in a food processor. If desired, push the mixture through a sieve to get the seeds out (but it's not really necessary). Add about 1 tbsp. of blackberry puree to each muffin and swirl around in the batter using a knife or fork. If desired, sprinkle the top of each muffin with a little more dried sage. Bake for 15 - 20 minutes, or just until they are slightly browned and spring back when you push down on them. Remove from the oven and let sit in the hot pan for another 2 - 3 minutes until they firm up, then remove them carefully and place on a wire rack to cool. Serve warm or cold - they are delicious either way! Store leftovers in the fridge until ready to serve. Mmmm, donuts. How long has it been since you've had a donut? I had to really think about that question. Before this summer, it had been at least as long as I've known I have celiac (roughly 3.5 years), if not longer. But now, armed with my Norpro donut pans (a birthday gift from my sister! ), donuts are back in my life. We've had a happy reunion. Which is part of why I was so excited about this month's Gluten-free Ratio Rally assignment: donuts and fritters. Now, I know that everyone loves a good, traditional, fried donut. Who couldn't love them? I thought about going that route. But I wanted to take this opportunity to make some awesome, slightly healthier baked donuts. The ratio I came up with for cake donuts was 2 parts flour: 1 part liquid: 1 egg. The amount of fat used was so negligible that it doesn't even warrant a place in the ratio - it was 2 teaspoons for the entire batch! Instead of non-dairy milk, I used cranberry juice as the liquid base in these. For me, this ratio created a donut that held together and didn't crumble in my hands, and had a slightly dry crumb that was perfect for absorbing the glaze I slathered all over it. Our host this month was Meg of Gluten-free Boulangerie. 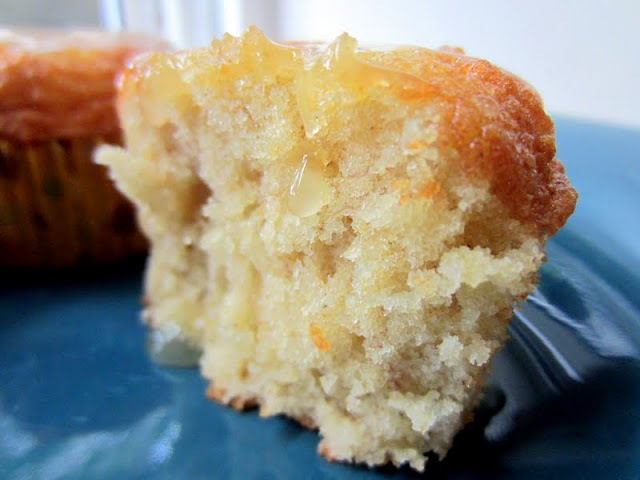 Check out her blog for her recipe for Old Fashioned Raised and Cake Doughnuts, and for a list of all of the other amazing recipes from the other blogger participants. You can also look below my recipe at the bottom for the list of all the other bloggers and recipes in the Ratio Rally this month. So say yes to donuts! Check out what happens when a group of creative bloggers put their minds to something. Beautiful - and delicious - things result. Preheat the oven to 325 F. Spray two mini donut pans or two regular donut pans with cooking spray. Combine the dry ingredients first and mix well. In a separate bowl, combine the wet ingredients, mix together, and then add to the dry ingredients. Stir to combine, making sure there are no patches of dry flour. Place the donut dough into a plastic baggie and cut a hole in one corner (this is your makeshift pastry bag). Pipe the dough into each donut tray, filling it about 2/3 of the way full. If you are making mini donuts, bake for about 6 - 8 minutes, or just until they spring back when you touch them. For regular donuts, bake for about 8 - 9 minutes. Remove from the oven and leave in the donut pans for about 2 - 3 minutes to allow them to firm up. When they're firm enough not to fall apart, gently remove them from the donut pans and place on a wire rack to cool. Make whichever glaze your heart desires, preferably in a wide, flat bowl. Drench each donut in glaze, rolling it around to ensure that all sides are covered. Place each newly glazed donut on a plate or tray and place in freezer until glaze is frozen. Then you can remove them from the tray and store them in tupperware - but it's still a good idea to place a sheet of wax paper between each layer of them. Store in the freezer or fridge until ready to serve. The chocolate donuts tasted best frozen, but the cinnamon ones are equally good frozen or refrigerated. Here's a list of all the other amazing bloggers and their recipes for donuts or fritters! Who doesn't love fig newtons? Seriously, if such people exist, I have not met them. I don't know exactly what made me crave them last week. It may have been because the last time I was at Trader Joe's, I came across a new product that made me want to jump in the aisle. Fig butter! And it was so cheap. Needless to say, I stocked up, afraid that it would disappear quickly, like other favorite TJ's products that have vanished oh-so-suddenly from the shelf, leaving me standing forlorn in the aisle (cranberry chutney, I'm talking to you!). These are super simple to make - I swear. You mix the dough, spread it on parchment or wax paper, spread the fig butter over half of it, and then fold it over. It's like a little fig burrito. AND - they are gluten-free, dairy-free, and egg-free. Seriously. For my first attempt, I tried this recipe from Elana's Pantry just as she made it. They were tasty, all right - but I didn't feel like they had the heavier texture of fig newtons that I was really looking for. So I innovated a bit. I tweaked the flours, adding some more whole grainy goodness to balance out the plain almond flour. I made the dough a little drier, and substituted applesauce for some of the fat. I baked them for slightly less time. They came out so wonderfully, even I can't believe it. I brought these into work with me, and my co-workers couldn't believe they were gluten-free. One woman liked them so much that she kept checking in with me to see how many I had left, torn between taking one at the expense of someone else and just, you know, really wanting another fig newton. But maybe you'll think of some other, new way to make these that will be even better. If you do, please share your own tweaks with me. Until you come up with your favorite version, though, these will definitely hit the spot for a fig newton craving. In a small bowl, combine the flours, salt, and xanthan gum and mix together well. In another small bowl, combine the agave nectar, honey, oil, applesauce, and vanilla and mix well to combine. Add the wet ingredients to the dry ones and mix together until it's as smooth as it can be. Cover and refrigerate for at least an hour. Remove the dough from the refrigerator. Take about half of it and plop it onto one side of a large piece of wax paper. Fold the wax paper over in half and use a rolling pin to make an even rectangle that is about 10 - 12 inches long and about 4 inches wide. Peel back one half of the wax paper (so that the top of the dough is now exposed) and then transfer the whole thing to a piece of greased parchment paper for baking. You can do this by greasing the parchment paper, then pressing it onto the top of the dough, then flipping the whole thing over and peeling back the rest of the wax paper (which will now be on top). Spread a generous amount of fig butter along one half of the dough - as much as you want, really. Go crazy. Make them figgy. Then, using the parchment paper to help you, fold the dough in half. Peel back the parchment paper carefully from the top of the cookie. Use a knife or fork to tuck in the dough fringes so that none of the fig butter is exposed. Place the parchment paper on a baking sheet and bake at 350 F for 10 - 13 minutes, or just until the dough is set and is ever-so-slightly browned. It may not look totally done - that's ok. Remove from the oven and let sit on the pan for about 3 - 5 minutes, then, using a sharp knife, cut into little fig newton squares and cool on a rack. Repeat the process with the other half of the dough, or freeze it to use later. Keep refrigerated, but leave out at room temperature or zap in the microwave briefly before serving for the best flavor. Soft. Fluffy. Spongey. Moist. Tender. Crumbly. Cake-y. Sadly, those usually aren't the first words that that come to mind to describe many gluten-free cakes I've tried from the store. But that, up there? That is a cupcake. A real cupcake. It is all of those words, to a tee. And what is behind all of those happy descriptors? A ratio. A beautifully simple ratio. 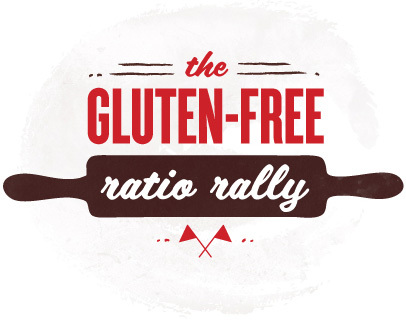 Our host for the Gluten-free Ratio Rally this month is Kate of Gluten-free Gobsmacked. She's inspired us all to make some delicious variations on white and yellow cake. Check out her blog for her recipe for Basic White Birthday Cake (I could have used this a few weeks ago for my own birthday!) and for links to all of the other fantastic recipes the members of the Rally came up with (which you can also find at the end of this post). Of course, I had to do SOME kind of tweaking to make it my own. One of my absolute favorite cakes ever is my great aunt Gene's rum cake. (Whenever I see the cover of the cookbook Heirloom Baking with the Brass Sisters, I always think of aunt Gene and rum cakes, for some reason - I think it makes me think of other, older times and places and scraps of paper tucked between the tattered pages of cookbooks, holding the keys to unlock the secrets of the most delicious things your family has passed down.) I wanted to make a cake I could drizzle her rum glaze over, so I used some banana in place of half the butter to balance out the rum flavor (which also had the added advantage of making it a lower-fat cake). The result was absolutely heavenly. These are best served warm, so either drizzle the glaze over them while they're still cooling and consume right away, or store refrigerated and then reheat them in the microwave for 20 - 30 seconds before serving. Cold, they are still pretty delicious, but they are a bit harder. Warmed up, they practically melt in your mouth. I was both sad and very, very glad that I had used the ratio to make only 4 cupcakes. I shudder to think of myself in the alternate scenario, which would likely have resulted in my eating a full dozen of these. That's another reason ratios are awesome - you can make as many - or as few - as you like. Trust me, you will not be sorry you made these. The commitment is minimal anyway - you can just make 4 to start and see how you like them. It's perfect for girls living alone, or for you and just a few friends. I'm pretty sure you'll want to get right back into your kitchen to make more, though. It's hard to resist an old-fashioned favorite like rum cake. Makes 4 cupcakes - can easily be doubled, tripled, or quadrupled, or...you get the idea. Preheat the oven to 350 F. Place 4 cupcake liners in a muffin/cupcake pan. In a mixing bowl, combine the Earth Balance Buttery Spread and the banana. Whisk together until smooth, then add the sugar and mix well. Add the egg, vanilla, and rum extract and beat together. In a separate small bowl, combine the tapioca starch, potato starch, sorghum flour, baking powder, salt, and xanthan gum. Add to the wet ingredients and mix well. Pour into the prepared cupcake liners and bake at 350 F for 15 - 17 minutes or until a toothpick or knife inserted into the cupcake comes out clean. Mine took exactly 17 minutes. Remove from the oven and let sit in the hot muffin pan for another 3 - 5 minutes (so they don't fall apart when you take them out). Remove to a cooling rack and let cool the rest of the way, or until you can't stand it anymore and have to eat one. 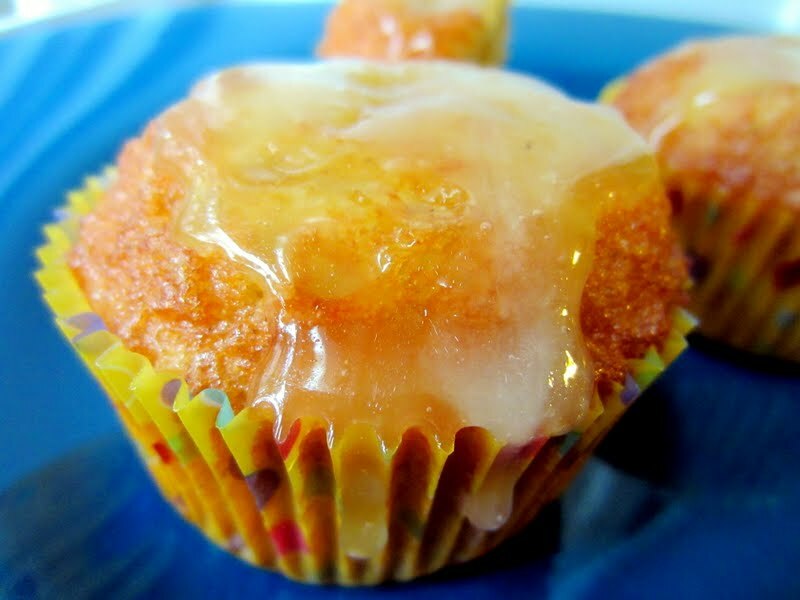 When they are totally cool, poke a bunch of holes in the top with a fork and drizzle a good amount of rum glaze over the top so that it sinks into the cupcake. Store in the fridge until ready to serve. Microwave for a few seconds before serving. To make rum glaze: Combine the butter, water, sugar, and rum extract in a small saucepan and bring to a simmer. Continue to simmer for 1 - 3 minutes or until it just starts to get thick. Drizzle over the cooled cupcakes immediately (or it will get too thick to drizzle). Traditional Birthday Cake by Karen at Cooking – Gluten Free!